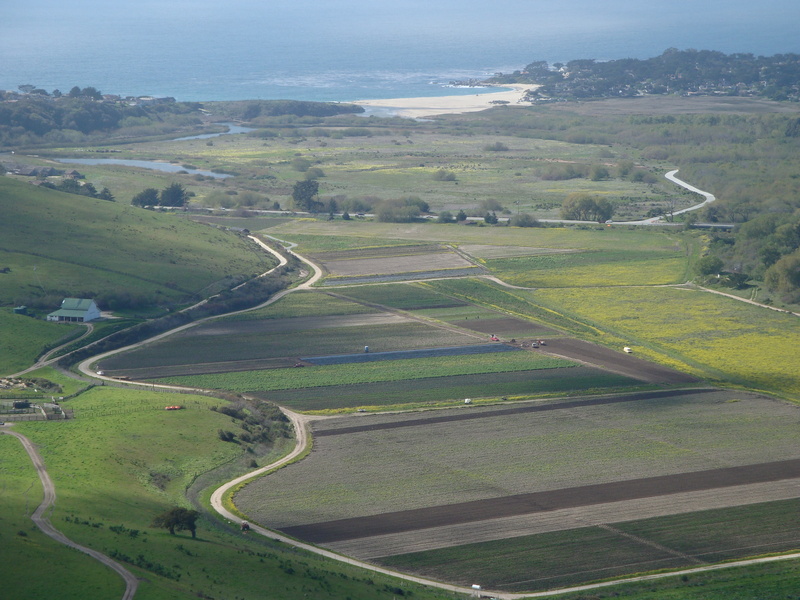 When a coalition of state and private funders acquired the 10,000 acre Palo Corona Ranch in 2004, they created a protected wildland corridor reaching from the mouth of the Carmel River all the way to the Ventana Wilderness. And these aren’t just brushy hillsides. Deep redwood forests line the canyons and groves of immense oaks and madroños alternate with open wildflower filled meadows along high ridges overlooking both the ocean and Carmel Valley – and with views from Santa Cruz to Point Sur. Simply put, it’s some of the most stupefyingly beautiful country on the planet. But don’t pack your bags for that hike from the Carmel Beach to the Double Cone quite yet. To say that the process of opening the public’s land to the public moves at a glacial pace these days would probably be overly generous. But don’t dispair. With the opening of a tiny sliver of Palo Corona Regional Park (the northern half of the Palo Corona Ranch is being managed by the Monterey Peninsula Regional Park District as Palo Corona Regional Park), the first tentative step has been taken. By visiting the Park District’s website, one may now easily obtain a permit to walk the first couple of miles of what we hope will one day be a route leading all the way to Mt. Carmel and beyond. Sure, the really spectacular country lies further in, but these first two miles are still well worth a visit. The view of the Carmel River mouth from “Inspiration Point” (doesn’t the Park District also have an “Inspiration Point” in Garland Park? – perhaps a thesaurus would come in handy), about 1.3 miles in, will definitely repay you for your trouble. So be sure to visit. After all, it’s your park. And be sure to tell the Park District how much you’re looking forward to seeing the rest of your park. Ask them to let you know when they’ll be requesting permits to open additional areas. And write letters and show up in person to make sure they get those permits. Someday this is going to be one of the greatest public parks in the world. Let’s make it happen in our lifetime. This entry was posted on Friday, March 13th, 2009 at 10:29 pm and is filed under Carmel River, Santa Lucias. You can follow any responses to this entry through the RSS 2.0 feed. You can leave a response, or trackback from your own site.